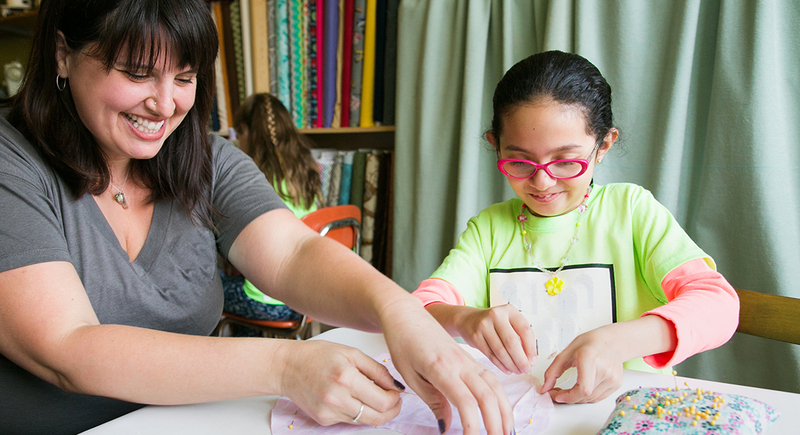 At our sewing studio, you can start taking sewing classes and attending camp after you have completed kindergarten. This may seem a little young. Especially since We tend to focus more on sewing on the machine. 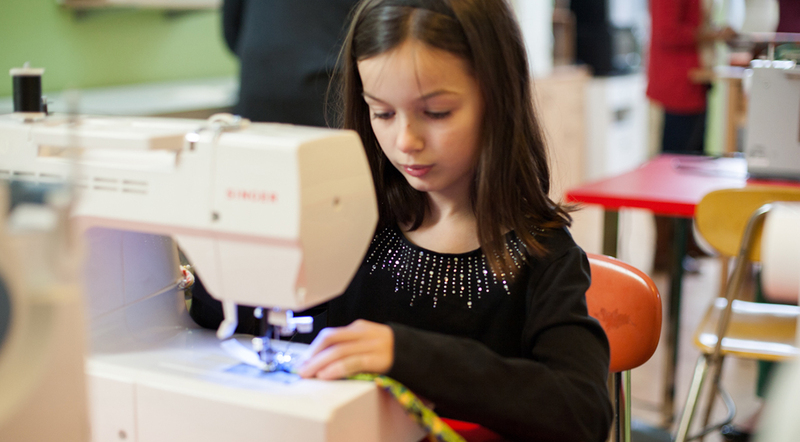 But since every kid is very different, some second graders really need supervised sewing time on a sewing machine and you could have a young first grader sewing independently after their first class. This age works for us. But because they get this immediate introduction to using the sewing machine, it can be challenging to interest kids in hand sewing. In our experience, once you introduce them to the sewing machine, they’re completely hooked from minute 1. They love the speed of it. They love the beeps and sounds the machine makes. They love that it has a pedal to make it go. They love that once they have the hang of using it, they’re sewing independently & making really cool projects at the speed of light. Or so they think. Once they’re allowed to use this awesome piece of machinery, why would they want to hand sew? That is a really good question! But I firmly believe spending some time teaching the fundamentals of hand sewing is amazingly beneficial. Number 1. It’s great for when you’re teaching a packed sewing class of kids. You’re bound to have the students who speed ahead with their project on the sewing machine. Having the ability to hand sew gives these kids a much needed & constructive “something to do” while you’re helping the slower paced kids finish up their main projects. Number 2. It allows you’re students to slow down, take a step back, & really see what this sewing thing is all about. Sure you show them how the sewing machine works. You teach them the steps to make the machine go. Line up the fabric, put the presser foot down, lower the needle with the flywheel. etc. And they totally get it. But with hand sewing the act of creating each stitch one by one really allows younger sewing students to focus on what they’re actually doing. It teaches them the concept of sewing vs. the step-by-step memorized acts of what needs to be done to operate a sewing machine. So when introducing hand sewing in classes lately, I have a method that I find works pretty well. I’ll admit, before a class of hand sewing, I never think hand sewing is going to go over as well as it does. But it’s because of the way we teach it. 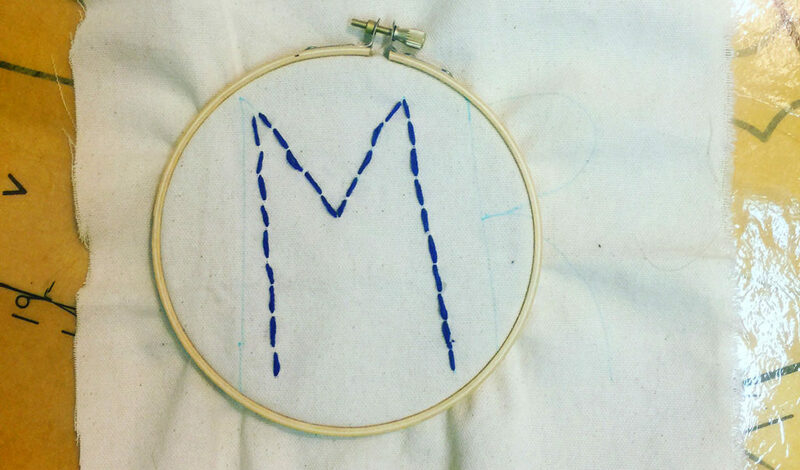 Use an embroidery hoop. 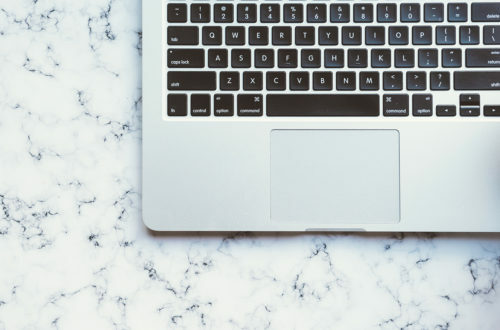 This keeps the fabric taught and makes it so much easier to get the concept of sewing in a particular place, or sewing on something that you’ve drawn. Use large eyed needles, with a sharp point. The conundrum is that you want a large eye to make it easier for your students to thread, but you don’t want a needle shaft so big it leaves a gaping hole in the fabric. I like size 18 chenille needles when I teach. Use fabric with a looser weave. Choose a natural muslin cotton fabric & make sure it’s one that you can see the threads on both grains. This way you’re less likely to have a snag when pulling the needle in and out. 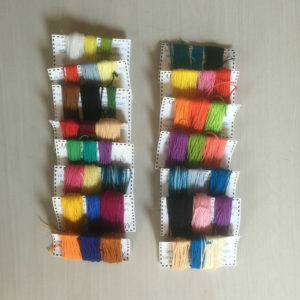 Use expensive embroidery floss. The multi-packs of floss you can purchase at Micheal’s that are meant for friendship bracelets are perfect for teaching new stitchers. It allows you to get a ton of different colors for little money. 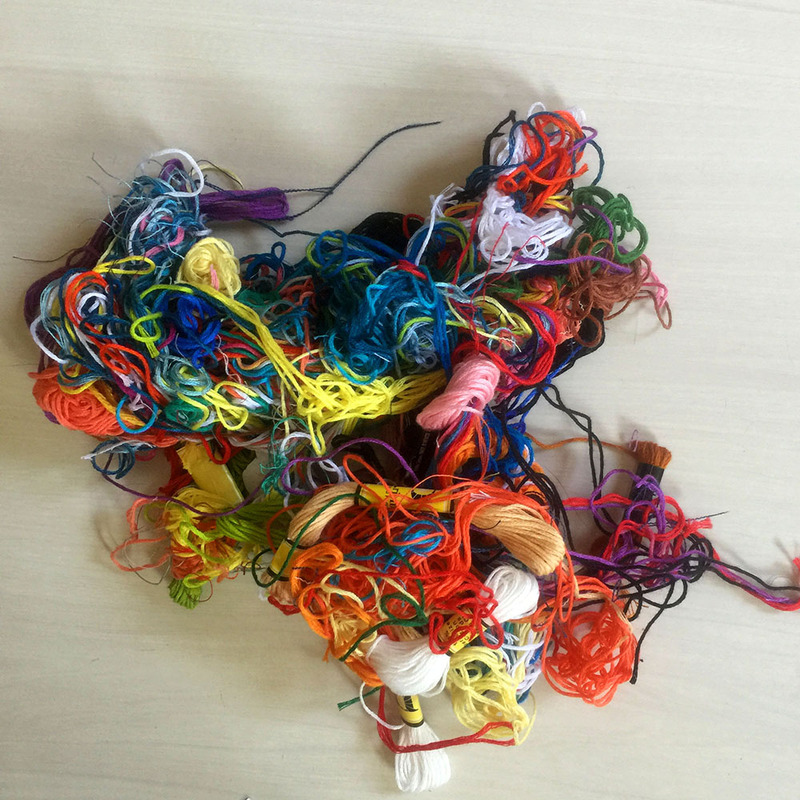 Let your embroidery floss collection get out of control. It’s any easy thing to do. Before you know it, your little container of floss looks like this. It can be helpful to wind all your little skeins (the little bundles they come in from the store) onto small pieces of card board. I just use old business cards that I have lying around. I can get three different colors onto one skein. But you can totally get fancy and create cute little holders, like these shaped like little dress forms. Get to fancy. 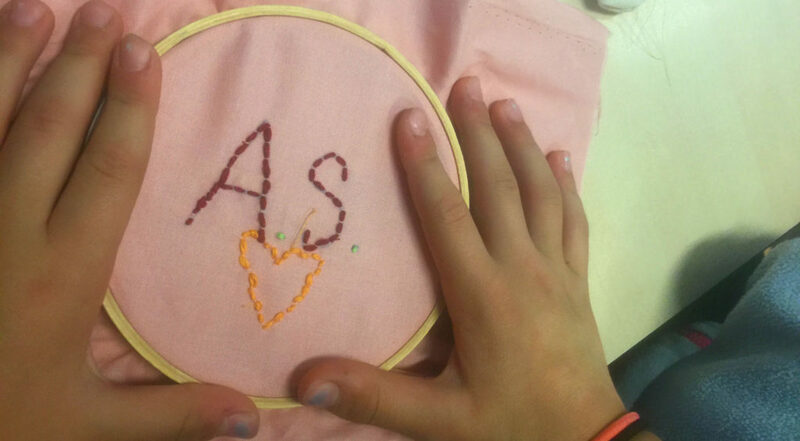 So much can be done to create a design using the running stitch alone. They LOVE to stitch their initials and then personalize it with a little design of there own. I had a little boy add a potato to his initials the other day. I’m so wishing I had taken a photo of this one! 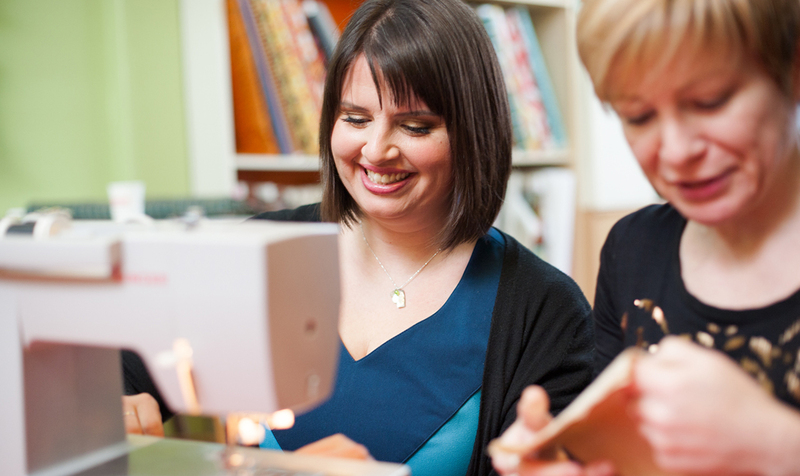 Creating Hipstitch Academy has re-ignited my passion for my own sewing business.